The Division of Student Services is seeking candidates for the position of Assistant/Associate Dean for Diversity and Inclusion. This is a full-time, non-tenure track, 12-month position. About Arkansas Tech University: Founded in 1909, Arkansas Tech is a state supported liberal arts institution, maintaining regional accreditation from the Higher Learning Commission (HLC) and classification as a Southern Regional Education Board (SREB) level III institution. It is the third-largest in the state with an enrollment close to 12,000 students. The Russellville campus, located in the scenic Arkansas River Valley between the Ozark and Ouachita Mountains, is just one hour from the capital city of Little Rock and boasts a charming blend of historic and modern architecture, including beautiful grounds and greenery. Offering over 100 undergraduate and more than 25 graduate degree programs across seven academic colleges and two campuses, Arkansas Tech strives to provide a solid educational foundation for life-long learning to a diverse community. For more information about Arkansas Tech University and the surrounding community, please visit our website at www.atu.edu/hr to find our “Live Here” informational resources. 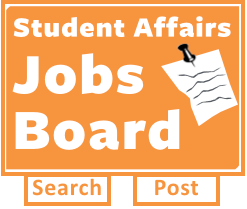 About the Position: This full-time professional staff member will work closely with students and professional colleagues to develop, implement, and track initiatives in areas of student retention, involvement, leadership, and support services as it relates to students from underrepresented populations. The successful candidate will be charged with creating and developing pre-orientation programs, summer bridge programs, and mentoring programs for underrepresented student populations. This staff member will be expected to engage in active outreach to specific populations to connect students with campus-wide support services. • Research, develop, and implement specialized retention and support driven initiatives geared toward increasing graduation rates among students from underrepresented populations, specifically pre-orientation programs, summer bridge programs, mentoring programs, etc. • Direct experience with student success initiatives in support of retention through peer-mentoring programs, summer bridge programs, tutoring, etc. Compensation: Salary range is $45,000-$65,000 commensurate with experience and qualifications, plus full benefit package including excellent health insurance, vacation, and retirement package. To be considered for the position of Assistant/Associate Dean for Diversity and Inclusion , all applications and materials must be received and processed through our applicant tracking system Cornerstone prior to the closing date of August 14, 2017. Please go to https://atu.csod.com/ats/careersite/search.aspx?site=1&c=atu to apply. Anticipated employment start date is October 2, 2017. Please go to https://atu.csod.com/ats/careersite/search.aspx?site=1&c=atu to apply. Job Categories: Dean / Administration. Job Types: Full-Time.